Here is an interesting and well-made infographics. XTRABYTES (XBY) Vs popular Blockchain solutions. Please feel free to share this amazing infographics in social media sites. SuperAdmin, nickdegre, Yankee Ruin X and 2 others like this. Love the dot matrix printing paper in the graphic, I used to use that all the time, I must be old...ha...genius! Exacly, i wanted to picture the past without saying about it. I thought 1-2 more changes today, so i will make them and i will upload the new one before contest ends. i suppose it is legal...!!! trutbert, Sobogunkenny and nickdegre like this. Could you make a graph which compares it to the new ones like HashGraph and IOTA? maxby and martin958 like this. Great to be here and seeing nice things going on. Thump up. the fact that this coin is so environmentally friendly is great! Sobogunkenny and Sokolakis Ilias like this. molten, Tristan, martin958 and 2 others like this. Hmm...file size too big to tweet. These infographics are cool, noticed one in my Facebook feed. This is how i got interested/researching XBY, now i'm a forum member. enki and Arty like this. I know infographcis sometimes get a bad wrap, but I still find them useful. I read this one fairly carefully and didn't see any errors/typos/etc. It's nicely organized, easy to read, and fun to look at. Well done. 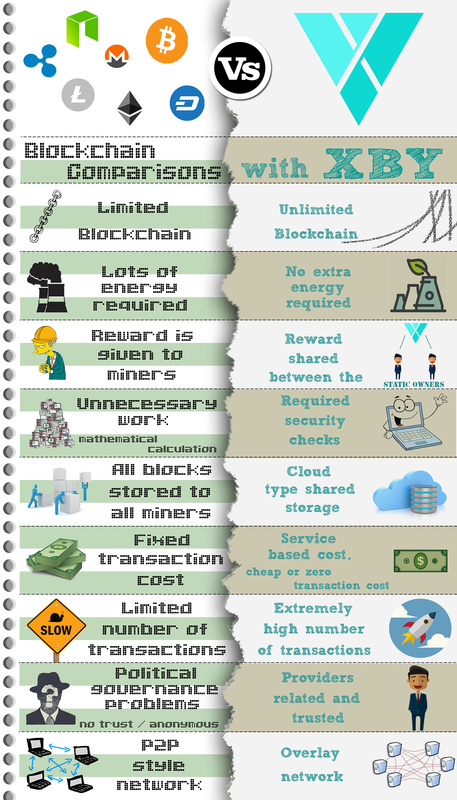 An Infographic is what caught my attention, XBY certainly looks very promising in this format. 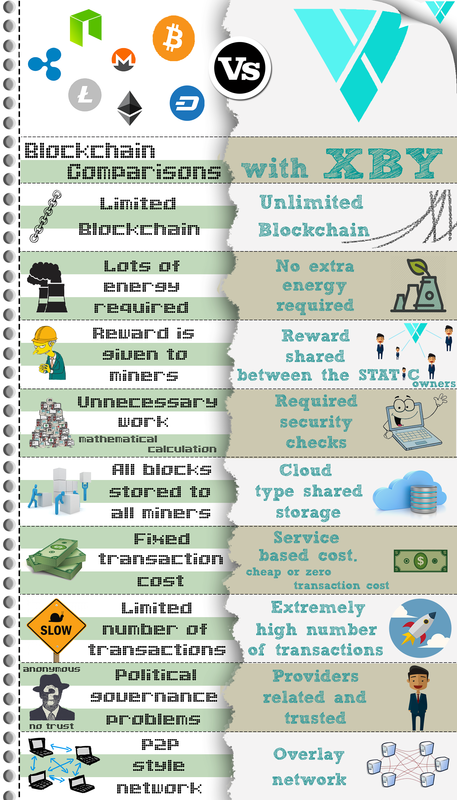 good comparison, is there comparison with dag based coin?